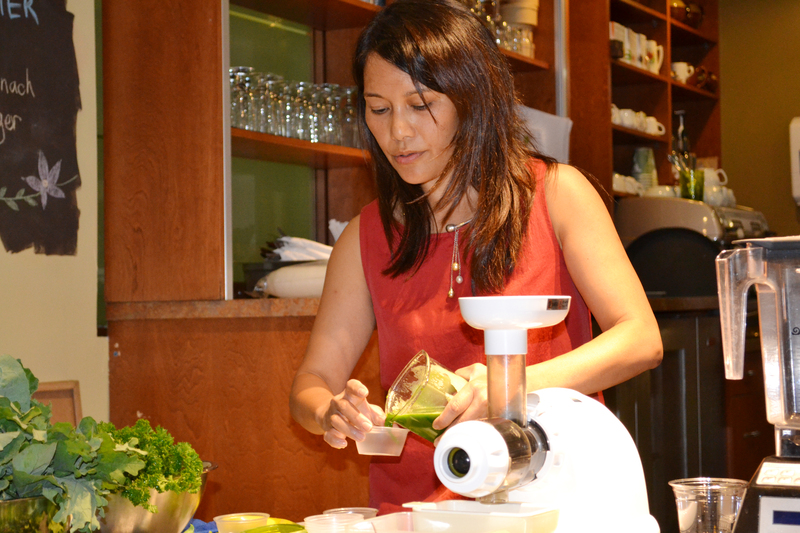 BELLEVILLE – A juicing seminar at a cafe in downtown Belleville attempted to squeeze unhealthy eating habits out of locals on Sept. 24. The event took place at Café e, 357 Front St., and there were approximately 20 people in attendance. 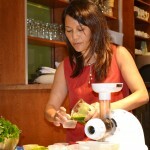 Delane Cooper, a self-proclaimed foodie and juice lover who is new to the area, led the seminar. Cooper said she spent 14 years trying to improve her health after suffering with fibromyalgia. 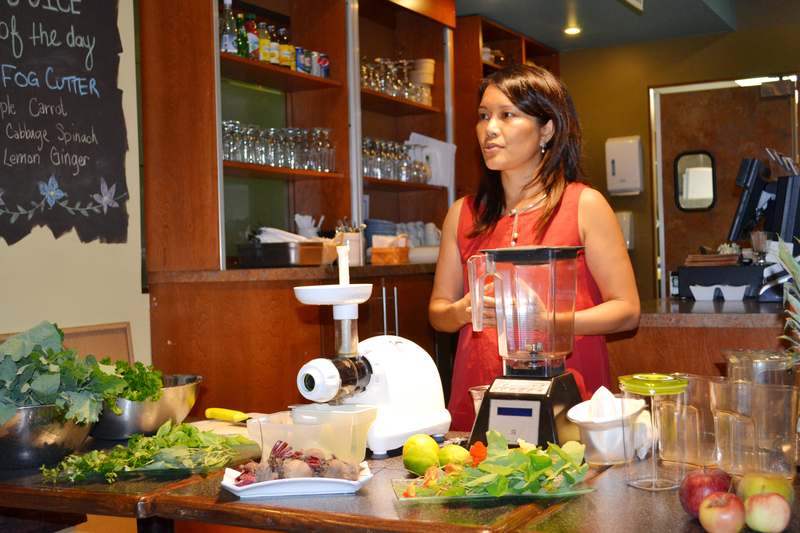 Through the seminar Cooper shared her story and the research she has done on juicing. 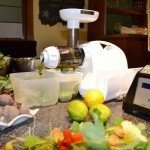 She explained the differences between smoothies and juices: a smoothie is made in a blender and a juice is made in one of the juicing machines: a masticating juicer or a centrifugal machine. Cooper recommends if you are going to incorporate more fruit, smoothies can be better because the fibre in them can help regulate how your body takes in the sugar. This can be a good way to start for people interested in juicing, she said, explaining that you want to start off slowly so your body can become accustomed to it. “What’s happened for some people is because it sounds sweet and good they make a high-sugar juice and they think drinking a full cup of it is good for you,” when in fact it can make you sick, said Cooper. 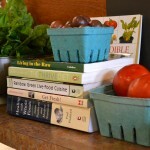 Cooper said that going to farmers’ markets helped her when she started juicing because she talked to the farmers about their produce and learned from them what vegetables were in season and when. Max Valyear, owner and operator of Green Wheel Farms in Belleville, donated the organic produce for the seminar after meeting Cooper at the Belleville farmers’ market and selling produce to her. 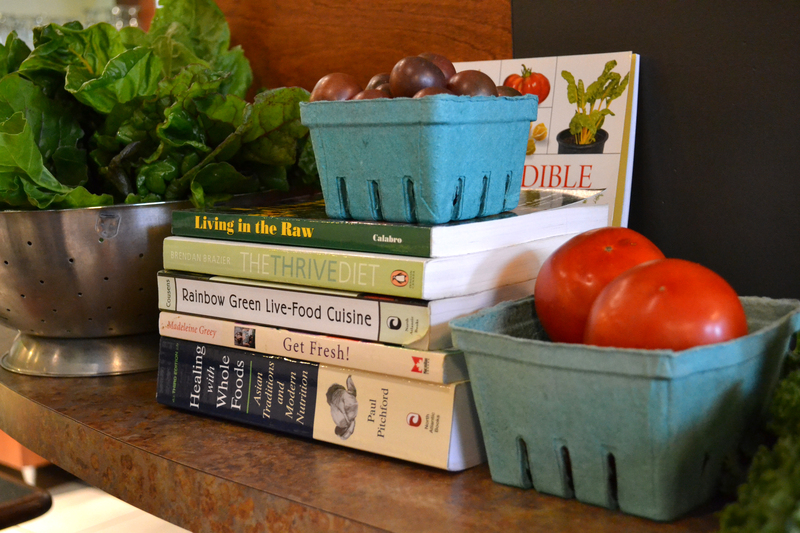 “She’s very knowledgeable about eating healthy. I know how to grow healthy food. I don’t know a lot about how to use them, though,” he said. Valyear said he wanted to be a part of the juicing event in part for promotion but also because it was spreading a healthy message that he says is needed in the area. “There’s a group of people that are starting to look at being health-conscious in this community. There’s a growing group of 30- to 40-(year-olds) and they’re really conscious of what they’re eating,” he said. Rotate your produce daily so that your body does not take in too much of anything or build up a tolerance against anything. Clean your produce with a couple of capfuls of organic apple cider vinegar mixed with water. 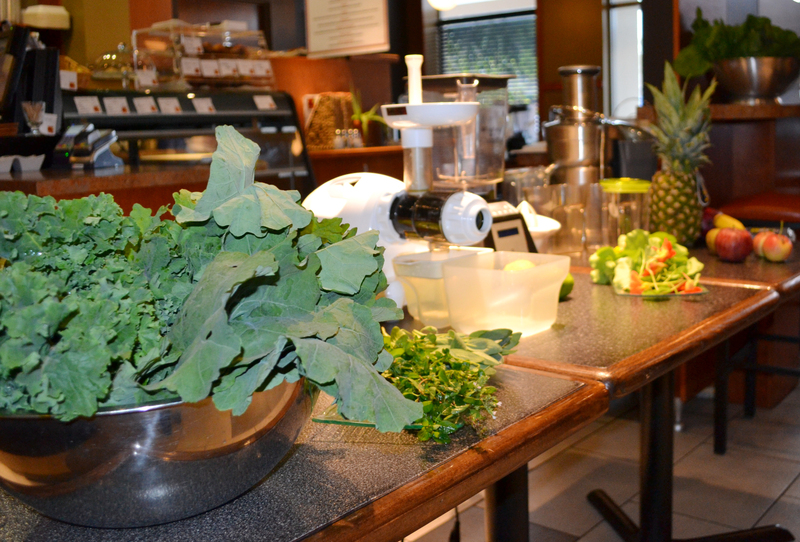 Do not jump into replacing meals with a juice or a smoothie; your body needs to adjust over time. 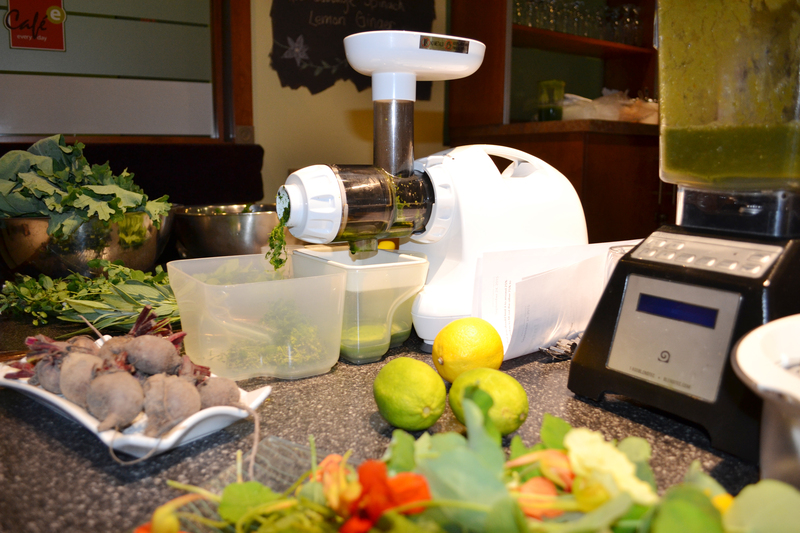 Clean your machine properly so that your juice does not take on any bad flavours. 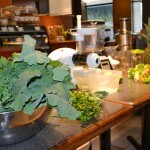 Romaine lettuce, spinach, kale and cucumbers are good bases for green juices. Rotate the produce as you put it in the machine so that it does not jam. Drink your juice within 15 minutes so that it does not oxidize and lose health benefits. Drink your juice on an empty stomach to help absorb nutrients better. Be prepared for the loud sound the machines can make. Cooper said that when you are drinking juice you do not want to just gulp it. You want to take it slowly to help digestion. “It’s no different than eating food, and even though it’s already been broken down it needs to mix in with the enzymes in your saliva,” she said. The most important thing is to listen to your body, Cooper said.